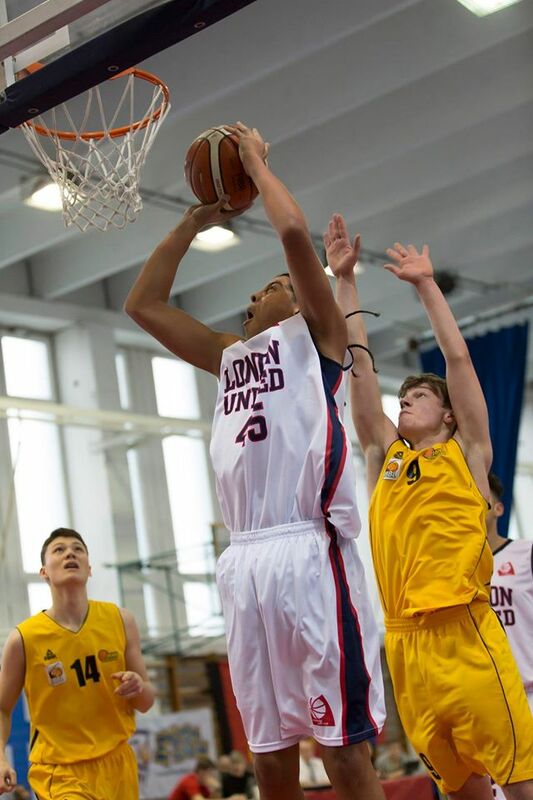 London United U16 team has endured yet another baptism of fire in the second stage of the European Youth Basketball League (EYBL) in Budapest. Despite losing all four games the young United players will be leaving the Hungarian capital with quite a large dose of optimism. After suffering the loss of starting point guard Malachi Boakye after the first game, the young Londoners had competitive games on each occasion. However, a very short bench did not allow them to compete for the full 40 minutes. Boakye’s duties were shared by Kevin Kolesnikovas and Christian Rodriguez whose confidence raised steadily throughout the tournament. The main scoring threat came from versatile 6’4” guard Kevin Szczawinski but the true revelation of the tournament was 15 years old 6’8” Tashan Gray who dominated both boards in all games.